On Friday night the Library opened what is one of our most rare and visually stunning exhibitions that celebrates the legacy of Dr Roland Pope and the foundation of the city's cultural collections : A Gift to the City - The Roland Pope Collection. This partnership exhibition, held across both cultural institutions, Newcastle Art Gallery and Newcastle Region Library celebrates the 70th anniversary of Dr Roland Pope's generous donation of art and literature in July 1945 that established the foundations for the art gallery and library collections. Pope's gift of 2000 books and almost 200 works of art was gifted to Newcastle, a city he had no particular ties with - the provision that a library and a art gallery be built by Newcastle City Council to house this important gift. Whilst this wondrous collection speaks for itself... it is the story of Dr Roland Pope and his vision for our city its rarest procurement. 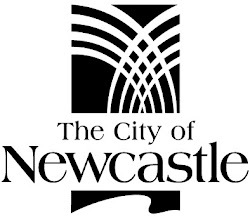 Please come along and join some of the great programs being offered by the Newcastle Art Gallery and Newcastle Library. Labels: Book Review - History, One from the vaults, What's on?